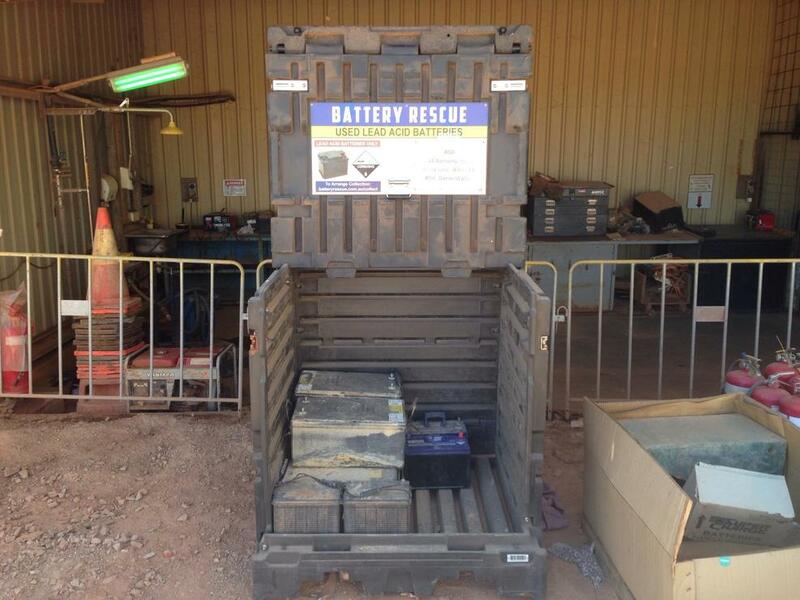 Battery Rescue Australia (BRA) has established its first Western Australian mine site customer for its regulation compliant used battery collection service. As part of the service, Battery Rescue, provide Macmahon, the Telfer mine site contractor, the UNISEG Battery Container at no charge. When full Macmahon arrange for the site’s transporter, Toll, to deliver the full container to BRA’s Perth yard and at the same time collect an empty exchange unit for return to the Telfer site. At least one Battery Container remains on site at all times. The service utilizes the UNISEG Battery Container, that enables batteries to be easily and safely loaded into the container, due to its unique front load configuration. When full the Container is closed and secured by the 4 Snap-Flat over centre latches and is ready for immediate transport in less than 30 seconds. The BTS Container also features a bunded base to capture any acid leaks, up to a capacity of 25L. Battery Rescue, General Manager, David Bush said “We are excited to have established our first WA Mining Customer and see significant potential for other mining companies to adopt our service. Many Mining and Oil & Gas Companies want a safer and more convenient method for handling batteries, to reduce their environmental impact and meet their chain of responsibility obligations by complying with the various regulations that govern the storage and transportation of used lead acid batteries”. David also said “We know our service will be popular with the transport companies, as many have told us they hate transporting used batteries (on wood pallets) due to acid leaks and load shifts that occur during transportation”. Randal Bielenberg of Macmahon said “We chose Battery Rescue’s help to manage our waste batteries because of the specific professionally designed crate. The Crate (UNISEG Battery Container) eliminated double handling of batteries that occurred every time we had to send them off site. Now we have a system in place that self manages and gives us a financial return for our social club. To enquire about Battery Rescue’s service for your mine site please contact David Bush on 0414 646 321 or davidbush@batteryrescue.com.au.